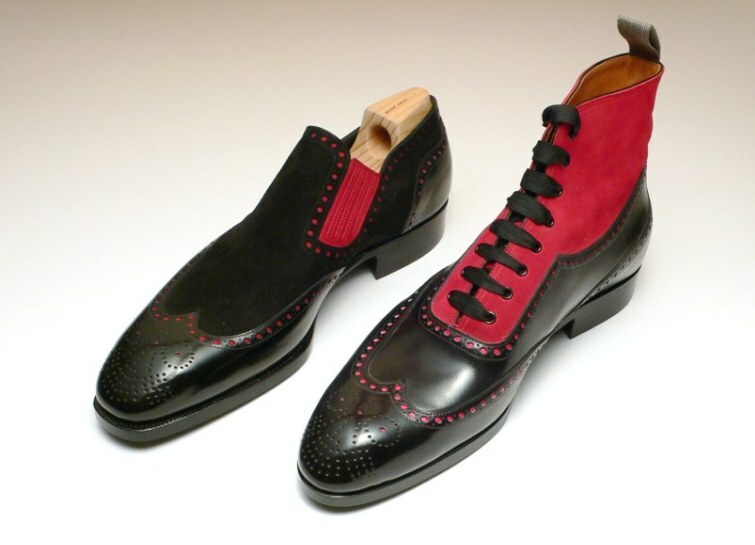 These shoes, by St. Crispins, represent the same ideas I have for when I start my own line. This idea of taking relatively classic styles and giving them a twist with multiple fabrics, colors and other little details has always captured my interest. For me it really just sets the shoe apart, especially a black pair. Without the extra detailing, black shoes are relatively boring. Adding the smallest detail, such as a giving the brogueing a different color, really enhances the shoes’ appeal. 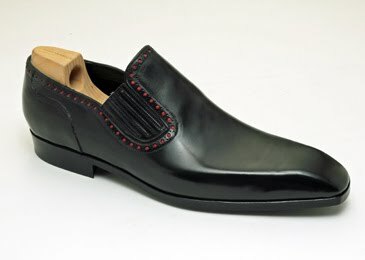 If you took out the red in these shoes, they would be just like a million other models by a bunch of other makers. I wish that more makers did this but until the becomes acceptable in a working society, I feel that it might continue to be the few who create shoes to this appeal. awesome shoes and great blog. Alexa – Thanks sis!Spoozyliciouzz – I appreciate your kind words!